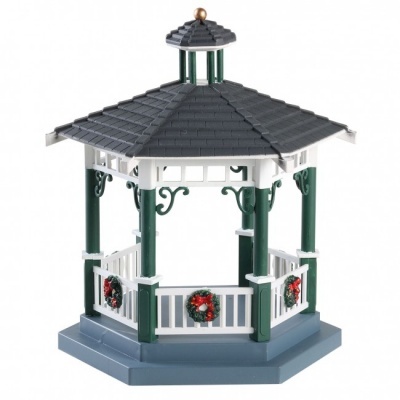 Lemax Victorian Park Gazebo Table Accent depicts a traditional victorian styled outdoor Gazebo building, decorated with Christmas wreaths for the holiday season. 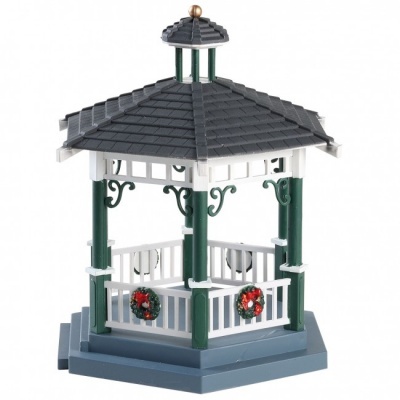 Lemax Winter Gazebo is suitably placed in and amongst a seasonal Lemax village miniature Christmas Winter scene. A recent addition Lemax Village collectable table piece which joined the Lemax Caddington collection in 2018. 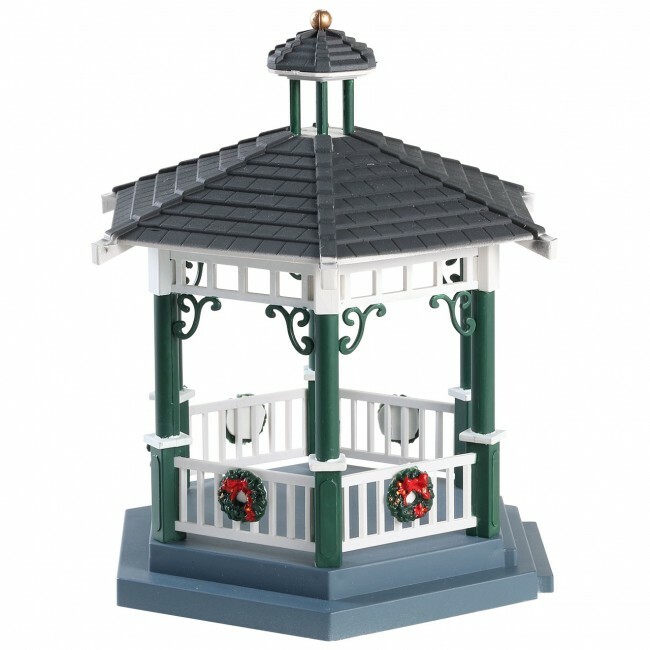 Victorian Park Gazebo offers a delightful self standing table piece on an individual base to compliment your seasonal Lemax Christmas Village.